Art and science mix in this boldly curated take on multi-layered forms of evidence. 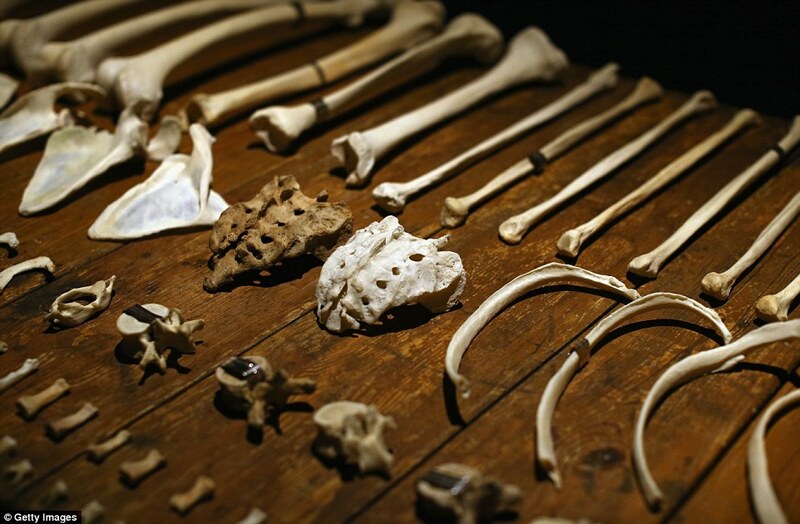 What is interesting about the Forensics: The Anatomy of Crime exhibition at the Wellcome Collection is the interweaving of science and art, allowing connections and highlighting differences, between the intentions of the artist and evidence gathered from crime scenes. In both cases there is room for dialogue between the viewer and the object. However, evidence gathered by crime scene examiners is in some sense mute until it is given meaning and context in a court of law. Visual artists, in comparison, generate their own sense of context and create an internal dialogue with the work before it is placed in the public realm of the exhibition. This exhibition of material inspired by and derived from the investigation of crime, creates a tension whereby the artist appears to be substantiated and re-enforced by a proximity to the tools of science and evidence gathering. Corinne May Botz’s photographs entitled ‘Nutshell Studies’ offer a satisfying and successful embodiment of this relationship. They are shrunken recreations of actual murder scenes used by forensic trainers to teach new officers ways of interpreting crime. They are also powerfully subversive in their illustration of an innocent object twisted in form and function, which seems to mirror in some ways an innocent object manipulated, in the assailant’s hands for example, to become a lethal object. 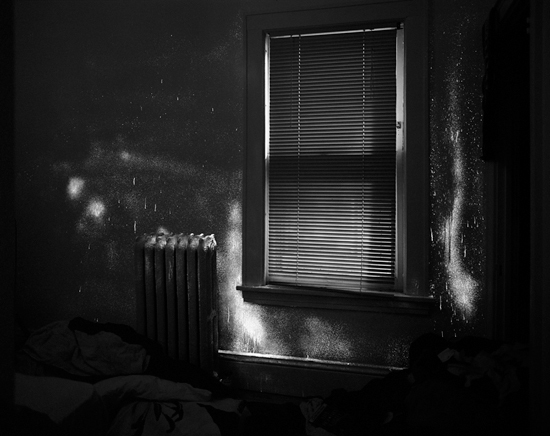 Angela Strassheim’s ‘Evidence’ monochrome photograph, re-appropriates forensic methodology for aesthetic effect. 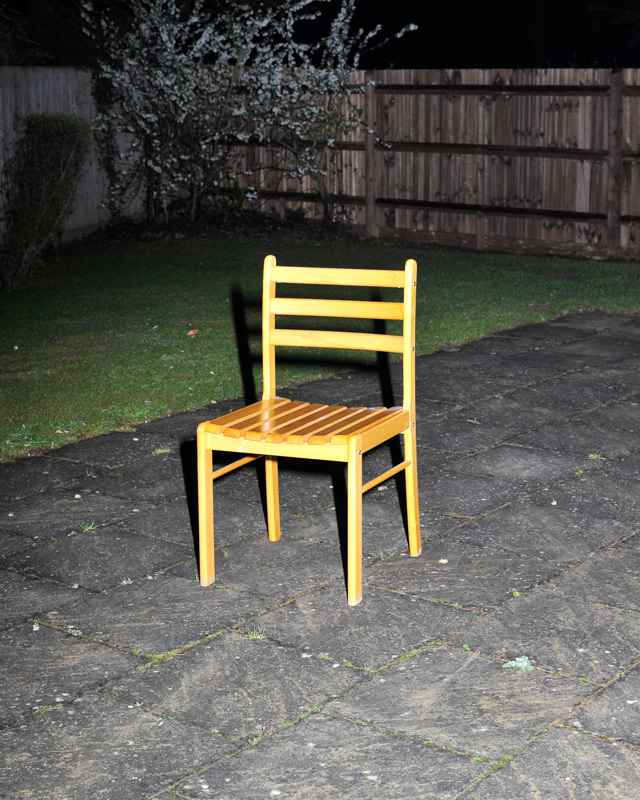 The ex-Police Photographer visits historic sites of violent murder – homes now occupied by new and unwitting owners – and searches for latent evidence still lingering on the walls and around door-frames. The resulting image records the ghostly glow produced by a chemical called ‘Luminol’ as it reacts with traces of contaminant present in the room. The presumption is that this is a reaction with the haemoglobin in blood, but in this context, the finer points of interpretation are masked and diminished by the picture’s ambiguity. Appearing to show evidence that cannot be substantiated, this picture shows the power of the photograph on the one hand – in its ability to render the invisible visible – but also the fragility of the image as a depiction of the empirical truth. 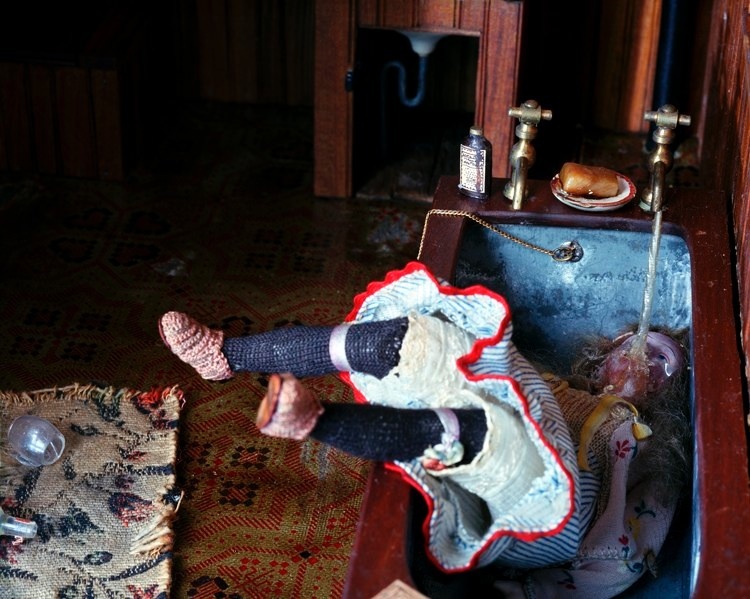 In a reverential ode-to-the-dead, natural processes of decay are represented in Sally Mann’s enigmatic, faceless corpse at the Tennesee Anthropological Centre, aka ‘The Body Farm’. Equally enthralling are acutely observed and luxuriously rendered illustrations from the 13th century – apparently in the Buddhist tradition – showing the nine stages human body decomposition – from pre-death portrait through to tumulus – an innocent looking grassy mound. Kusozu: the death of a noble lady and the decay of her body. Final painting in a series of 9 watercolour paintings. 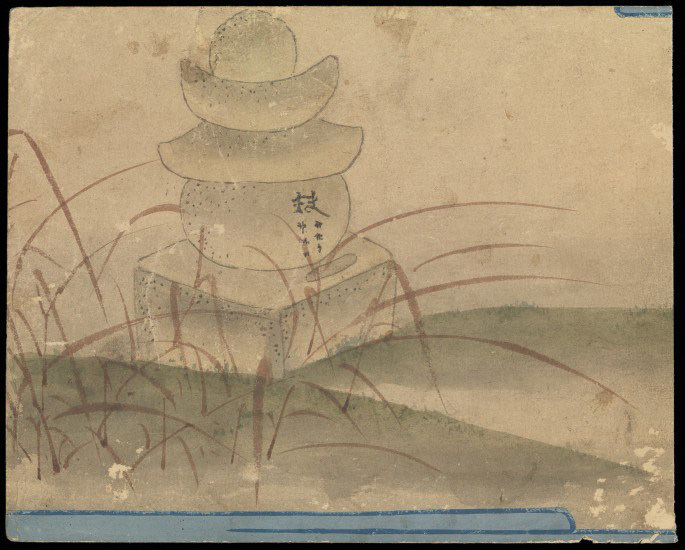 The final image is of a memorial structure upon which her Buddhist death-name is inscribed in Sanskrit. Nostalgia for the light, Patricio Guzman’s 2010 film, presents family members searching for their lost relatives in the arid Atacama Desert in Argentina. These women are shown searching for minute fragments of their husbands and brothers, who were arrested as political prisoners under the Pinochet regime and made to ‘disappear.’ Fearing their acts were about to be unearthed, the perpetrators exhumed the mass graves and scattered the remaining body parts, but shards of human bone lie visible still, and relatives identify and collect them, in the hope that these small acts of physical recovery will lead to lasting emotional ones. The unresolved nature of this case and its open ended narrative draw attention to and reinforce the difficulties of identification found elsewhere in the exhibition. Similarly, the care taken to present the bones in Jenny Holzer’s Lustmord (above) deliberately undermine the violence and careless demise of these victims of sexual crime. The silver tags on finger bones which once wore adornments more comfortably, are etched with ‘unsettling perspectives on sexual violence from perpetrators, victims and observers’. The instillation is protected behind an alarmed barrier, affording the victims more protection in death than they ever had in life. In an adherence of the term ‘forensic’ – meaning ‘of the forum’ – these inscribed ‘voices’ are made mute by their position within a very specific space and time. The showpiece of the exhibition, however, is the instillation by artist Sejla Kameric, located in the ‘Search’ section. 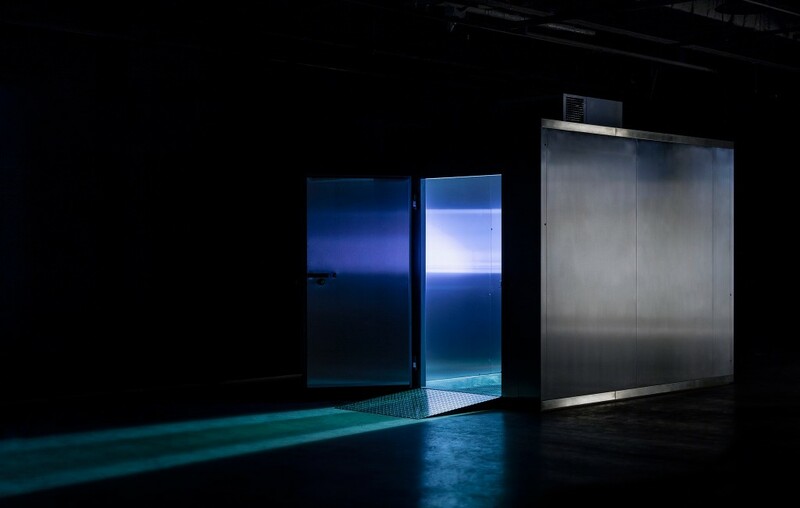 Inside this solid silver box – a working refrigeration unit normally used in temporary morgues – a projector flashes images of evidence collected in the process of identifying recovered human remains, or Disaster Victim Identification (DVI) in Police jargon. Walking into the unit is a humbling experience. The cold air and drone of the generator are an unsettling distraction, but add a sense of brutal authenticity to the stark representation of hard facts. This giant industrial cooler embodies the act of scene and evidence preservation in order, as a moral stance it seems, for future generations to find solutions to old problems. The refrigeration process keeps fresh those ugly things, which require revisiting and re-examining, after and beyond eyes tired and jaded. This year marks the 30th anniversary of the miners’ strike. 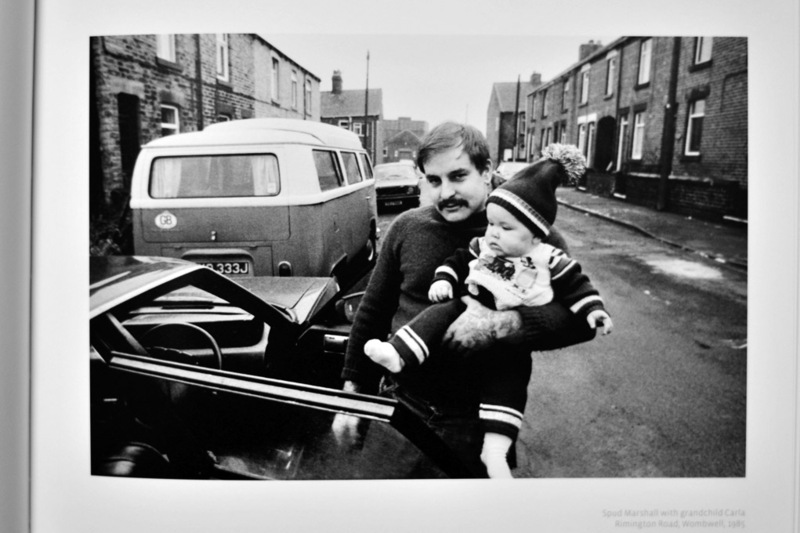 A book by a German photographer, only now published, offers the viewer a rare glimpse inside the upended lives of local families during a hugely divisive period in modern British history. 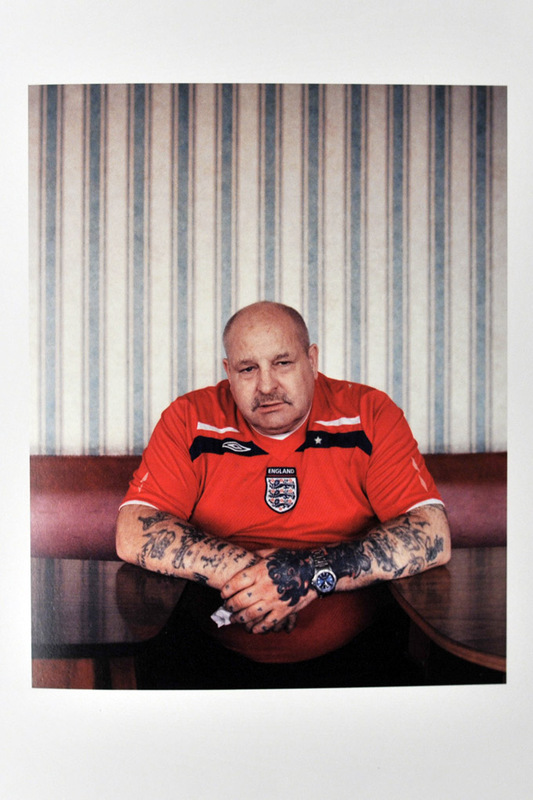 Taking inspiration from Robert Frank and his great opus on American culture, Michael Kerstgens, a young photography student at the time, follows his family contacts to South Wales before heading to the hotbeds of social upheaval in the mining towns of South Yorkshire. 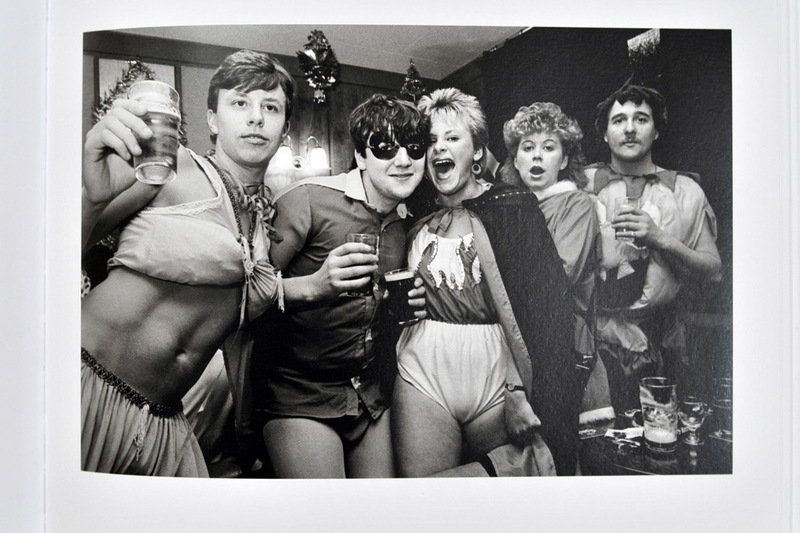 The photographer manages to secure remarkable access, particularly through a chance encounter with a man on his first day at the NUM office in Barnsley by the name of Stuart ‘Spud’ Marshall. Trusted by the communities, he now becomes an invisible eye, free to make some astonishingly intense pictures of Union meetings and record insights into pivotal roles played by the Miners’ wives. These pictures show the subtle bonds and ties of family that are sometimes difficult to articulate, but are nevertheless integral to stories of private and working lives connected and interwoven in ways which seem both familiar and strangely abstract. The images in places feel like a sooty archeological archive, such is the patina of coal dust covering every surface. The use of monochrome connects the subjects to a strong pictorial lineage, to moral questions of right and wrong and, perhaps more viscerally, to the very elements of the land under their feet. Adding to this sense of other-worldliness the pictures of NUM meetings, veiled in a tobacco haze, are striking for their visual aesthetic, but are made more profound as historical documents of a very particular time and place. The solemn tone is given a refreshing and relevant counter-point with the inclusion of some witty party pictures. 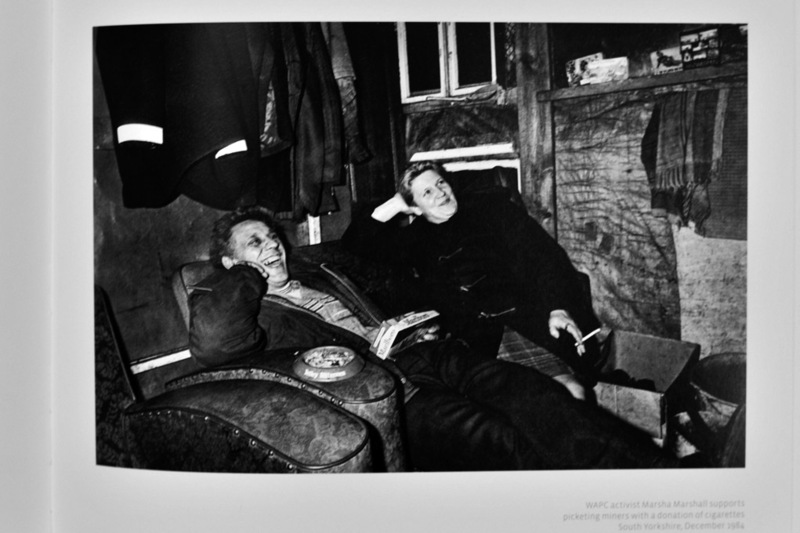 The passage of time has imbued Michael Kerstgens’ important photobook a sense of perspective and confirms feelings of injustice; less about the simple economic facts regarding the (un)sustainability of the pits themselves, and more to do with the void left behind after such enormous and immediate social change. The Reunion aired on BBC Radio4 recently brought together five interested parties from the strike, allowing an opportunity to see if thirty years have entrenched or softened views formed at the time. Groaning from outside my window is not in itself particularly unusual. This spot where the road meets the park is a place where all life mixes – the perimeter fence being a kind of shoreline between the suburban and the communal. 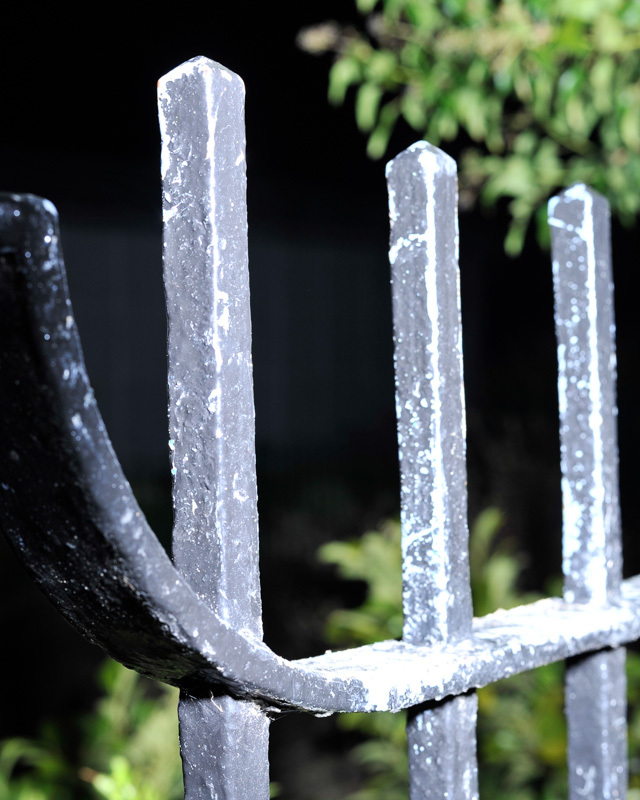 Railings mark a displaced tide where the unexpected, from time to time, gets washed up. As I mute the women’s ‘slope style’ from Sochi, morbid moans settle on a disembodied space near the gates. I peer through the blinds onto the sickly sodium lit road and clock my neighbour – the one opposite with the enviable motor-home – in studious activity beside the park railings. Next to him is the dark dangling shape of a man – the source of the pained expletives; a shadow in contorted misery begging to be released. I cannot un-see the impaled man. I grab keys and race downstairs before the hall lights have a chance to fully flicker on and cross the road to the man who is stuck like a pig at a banquet. The neighbour is trying to cut through his jeans with paper scissors; perilous, if not for the fact that they are woefully inadequate. A more threatening implement is needed. I find a serrated pair back in the kitchen draw, and try not to impale myself as I charge back outside, leaving strains of the ‘Star-Spangled Banner’ floating down the corridor. Back outside, precise incisions are made in the denim around the spike until only gravity and fatigue have him still wedged. His free leg claws back and forth in mid air, but it remains hopelessly short. If the fight left him, he would probably fall back in a heap, maybe with a crump on the head; but then his knee would still be wedged and it might dislocate. I do another circuit back up to the flat for a chair then climb over the fence almost getting my foot caught next to his viced knee. The aroma of alcohol oozes from him, like he’s been marinating in ale. I thrust my back and shoulder under his rear end hoping he still has enough control over his bodily functions and inch his stranded leg up towards the respite of the waiting chair. There are some loose bricks nearby, so I build a little step and from these he manages to reach the chair and then we gently prise his limb up, off and down. He staggers as the blood returns. He shuffles into the shadows, oblivious to his ragged state. 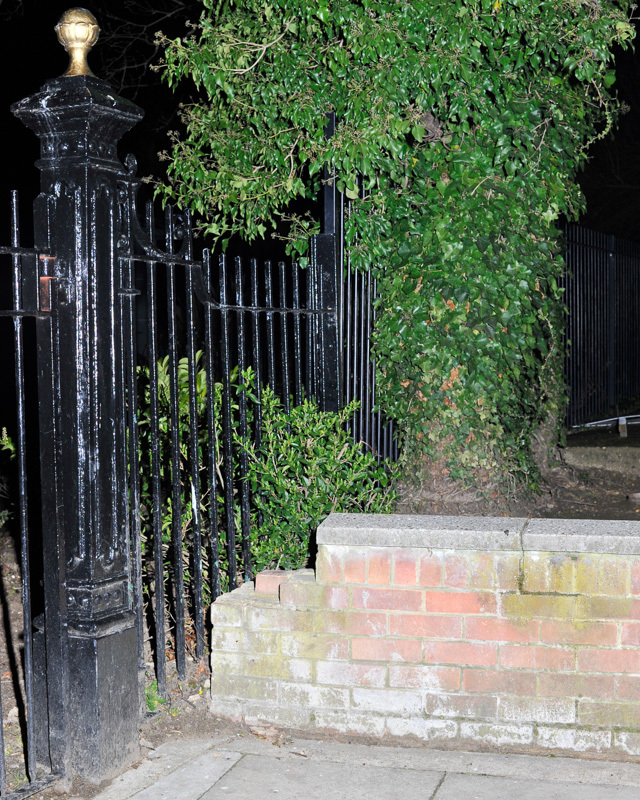 I wonder about the ethics of photographing a helpless victim pinned to some railings for the sake of an interesting picture, as he disappears into the gloom. The aftermath will have to do.